“Project Management … by the Numbers” is a style and theory of Project Management that has been proven to be not only effective in the creation and follow through of projects and their tasks, but also as a style of Project Management that promotes communication, coordination and cooperation of project team members and customers. 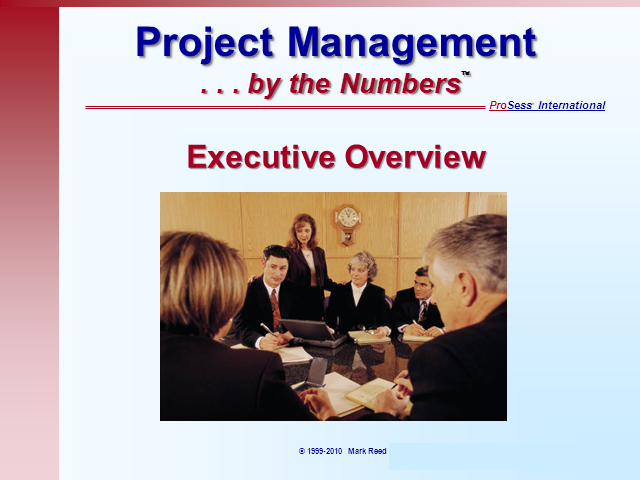 “Project Management … by the Numbers” provides necessary skills for a new Project Manager and reinforces the basics, while providing new, exciting ideas to the experienced Project Manager. Functional team members also benefit by learning the language, and the concepts, of Project Management.